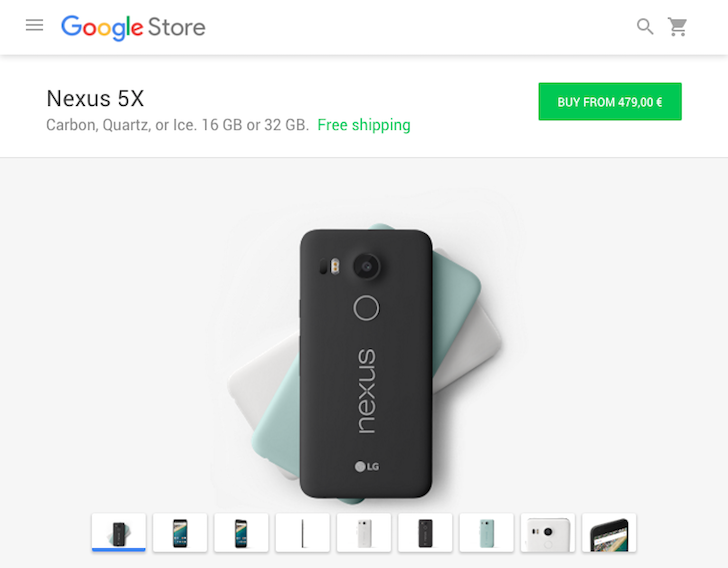 Is a telecom operator in the UAE really giving away the HTC 10 for free? Before you get too excited about getting the flagship phone for free, we must inform you that this is sadly not the case. A few reports on the internet had suggested that the UAE based operator Etisalat is giving away the HTC 10 for free to some of their customers and after some research, they turned out to be expectedly misleading. Don't get us wrong though, Etisalat is still offering a great deal on the HTC 10, but it's just not giving it away for free like the rumors suggested. The actual offer of the telecommunications company includes zero upfront, two-years of warranty, enhanced screen insurance and offer on Uber rides with every purchase of the HTC 10 smartphone. The lowest monthly payout for the plan is only Dh105 and you will even get a free home-delivery if you order it online. The offer on Uber ride extends up to Dh100 and the added insurance from HTC on display damage will extend up to six months, during which, all broken or damaged displays will be repaired for free. Khaled Elkhouly, who is the chief Consumer Officer at Etisalat, said that he feels that this new smart pay option will make the HTC 10 more affordable to their customers and will also help the smartphone reach more buyers. Nikitas Glykas, President of HTC MEA expressed his excitement at the newfound partnership between Etisalat and HTC. To us, it sounds like a great deal as well, given the fact that the HTC 10 has received international acclamation. In case, you just want to pick up a HTC 10 free of contract in the UAE, you can do so for a price tag of Dh2,399. 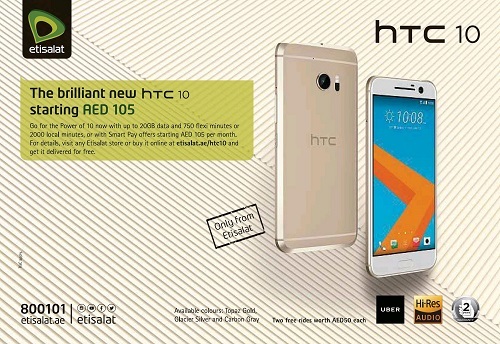 Tags: telecom operator uae really giving away htc free?